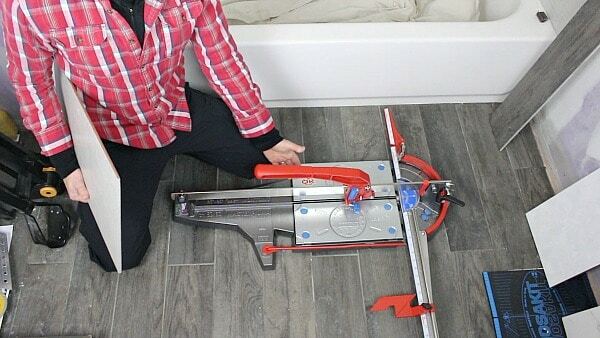 What’s the best tile cutter for any type of tile? 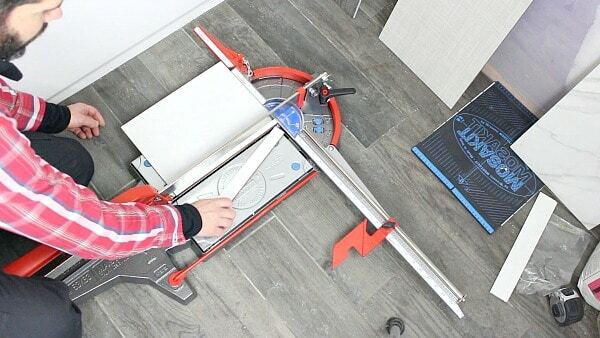 We take a look at the Montolit Masterpiuma P3 tile cutter today. And needless to say, it’s very impressive. If you need to cut ceramic, porcelain, or glass tile the Masterpiuma is a great option. What is the Montolit Masterpiuma? Montolit is an Italian company that makes some of the best tiling tools in the world. Many professionals know and love Montolit because of their quality. 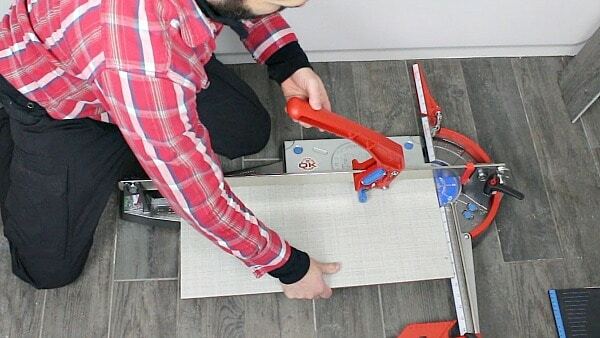 The Masterpiuma is a manual tile cutter. The titanium coated cutting wheel can score ceramic, porcelain, or glass tile. Once the tile is scored the breaking bar is push down to split the tile. We chose the 25″x25″ Montolit Masterpiuma because it can cut 12″x24″ tile. That said, Montolit has a variety of Masterpiuma sizes for any type of project. 99% of the Masterpiuma is made of steel!!! This tile cutter should last decades and is well worth the investment. We don’t feel this way about most of the tile cutters sold in box stores. We love testing tools and seeing what they can do. Obviously tile cutters can’t do everything, like cut holes in tile for bathroom accessories or toilet flanges. But this tile cutter can make the wet saw unnecessary for some projects. Having the right tool helps a ton. 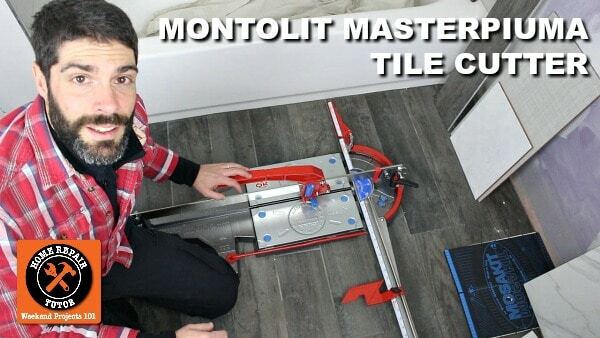 Montolit makes some of the best tiling tools in the world. Which is one huge reason we started a collection over on Bathroom Repair Tutor. Let us know if you have any questions, we’d be happy to help. Thanks as always for reading, watching, and being part of our great community. Oh how I wish I had this when I did my laundry room floors. With the wet saw, I was covered in dirty water that was slung back on me while the saw was in use. There doesn’t appear to be hardly any mess with the Masterpiuma. Great tool! No mess at all Deb. And it works well for any type of tile, well worth the money. Thanks Mark, let us know if you like the QEP cutter. There are a lot of different tools out there that make tile setting a lot easier. Thank goodness we have modern technology!! But, like always I’d a but… The two red stoppers at the sides are broke…. Very cheap material.. and the plastic handle that secure the angle need it to make the cut, strip with in a few months and now have to use my pliers to secure the angle. Don’t know if the didn’t have a case for mine due to the size but they should include one .. after all is not a cheap cutter…and for the amount we paid should include one or have the option to purchase one….to be able to protect the investment….